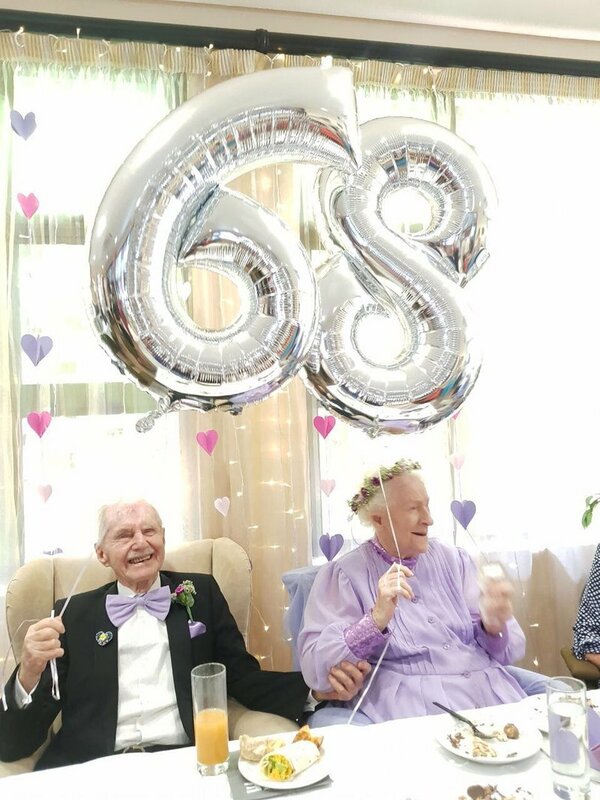 On Valentine's Day, Jane Linley-Thomas and East Coast Radio helped pensioners Peter Asher, 91, and his wife Josephine, 101, celebrate their everlasting love - 68 years after their wedding day. Valentine's Day this year was a teary, joyful experience for those who got to witness the ceremony. Peter Asher first met Josephine at a club in London, England and after only dating for three months, the two lovebirds got married and have been together since - for the past 68 years. After I heard their story, I knew I had to do something memorable for this adorable couple. With the help of great people, we managed to pull off a wedding ceremony that I will never forget. The room was filled with tears of joy, confetti, and love. To complete the fairytale surprise, my former producer, Simon Carter, and I met in secret and contacted potential sponsors. Without the assistance of the sponsors that came on board when I pitched the idea to them, none of this would have happened! I have to thank them for giving up their time and their money to make this such a special day and one of the highlights of my radio career. On the occasion of Tafta’s 60th anniversary year, we feel so blessed to have the Ashers commemorate this very special event with us. Their enduring love story is such a testament to the fact that when we put in the dedication and hard work to make something work, it will most definitely be a resounding success, much like the Tafta story too. We wish the Ashers well on their continued journey together and much happiness in their Tafta home for many years to come.